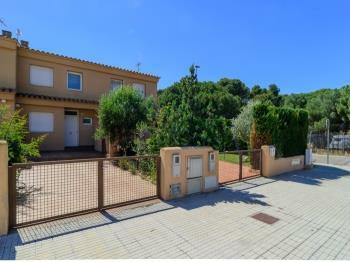 Terraced house in quiet residential area, 1,000 meters from the beach of Riells-L'Escala, garden, swimming pool, Internet WI-FI, porch and barbecue. 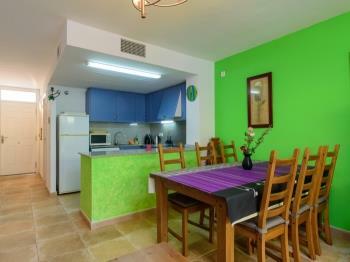 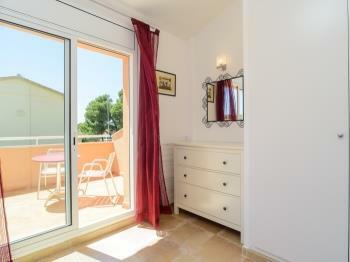 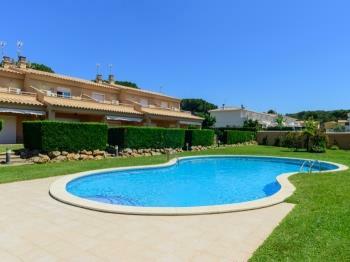 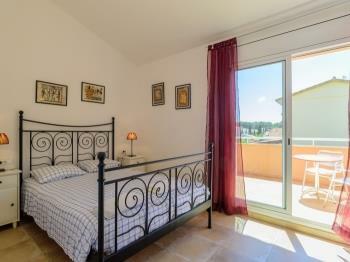 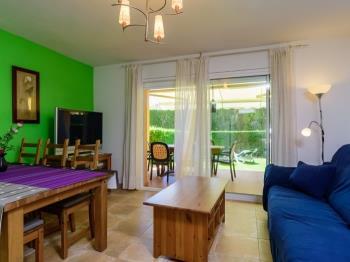 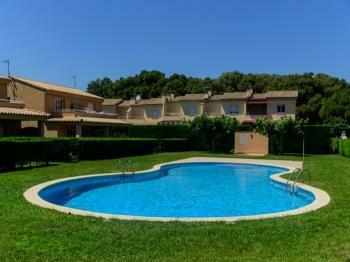 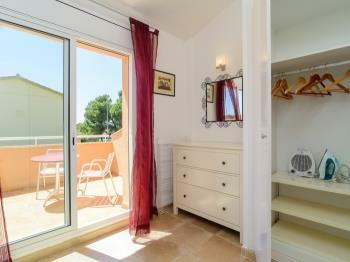 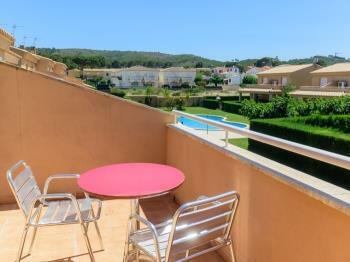 Ideal for family holidays with children in L'Escala and the Costa Brava. 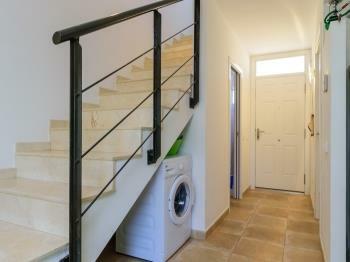 Advisory: Not recommended for people with reduced mobility as duplex with bedrooms on first floor. 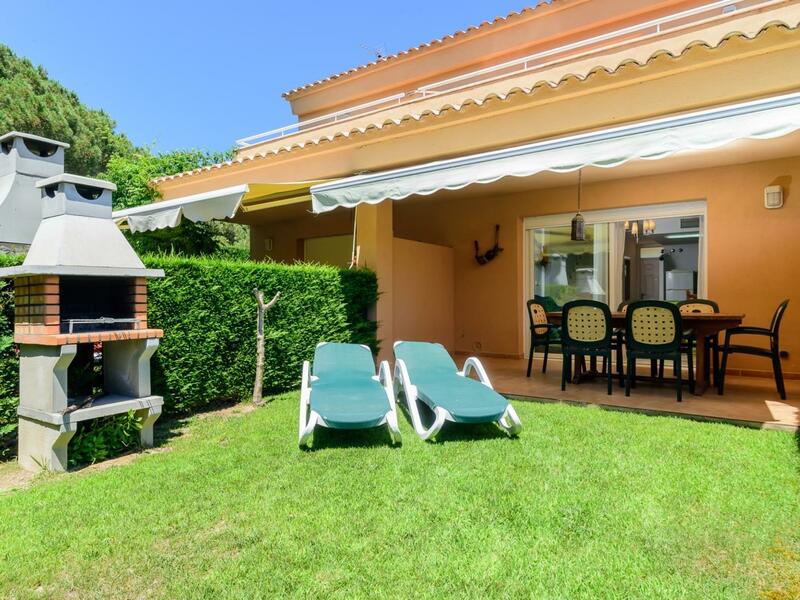 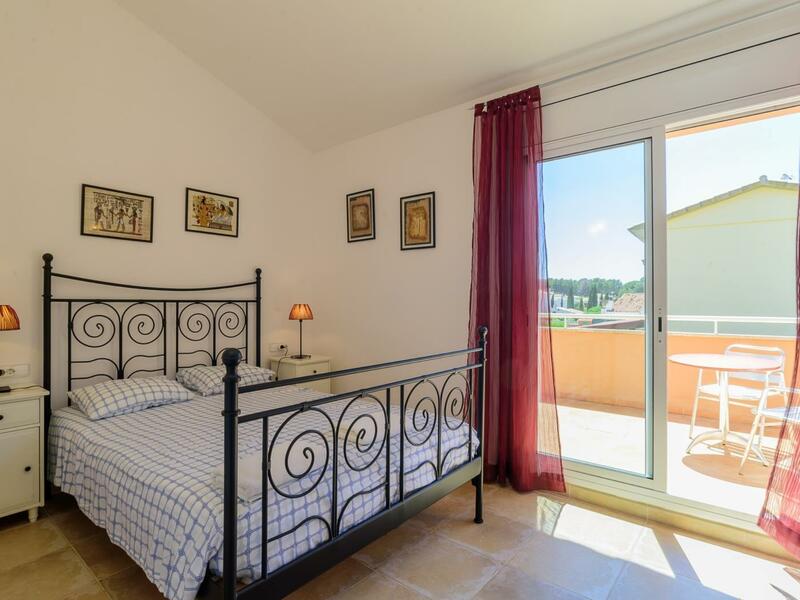 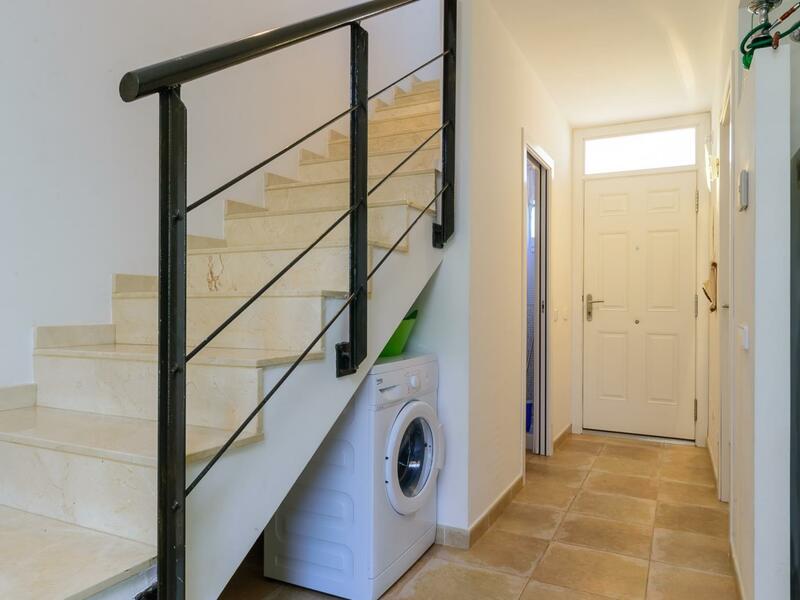 Recently built townhouse, exterior and light, it offers all the features needed for a wonderful holiday with family and children in L'Escala, Costa Brava. 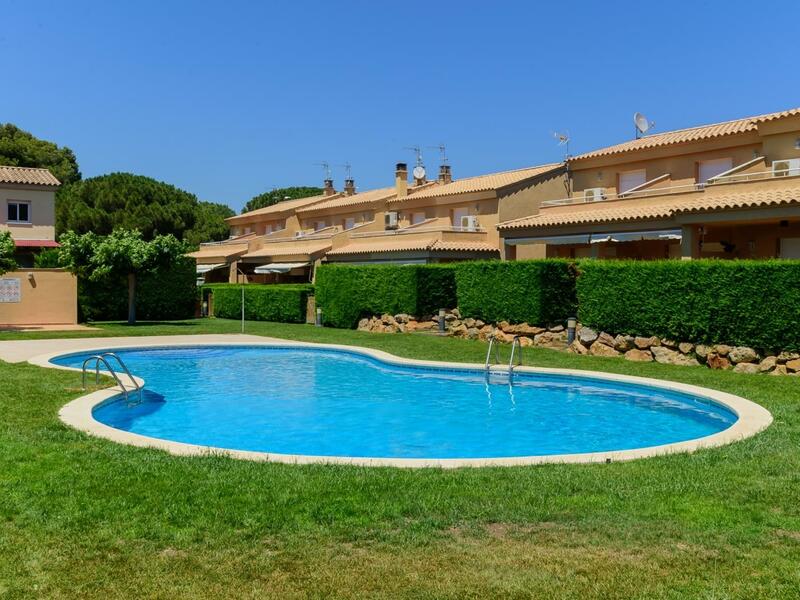 Among other benefits, enjoy private parking area, air conditioning, WI-FI Internet, porch, private garden with sun loungers, barbecue and communal garden and pool. 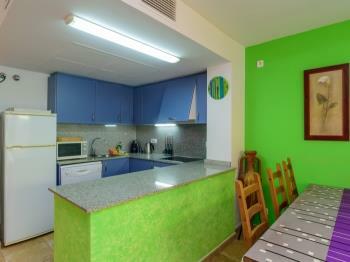 Pinamar comprises 18 residential apartments, and a large garden with swimming pool 16x6 and community WI-FI. 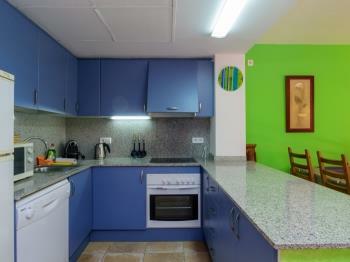 It is a residential and very quiet family community. 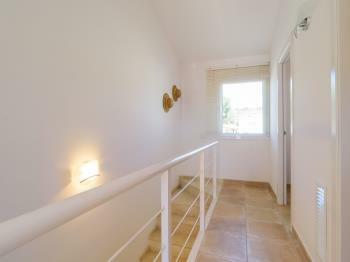 The house size is 90 m² over two floors for up to 5 people. 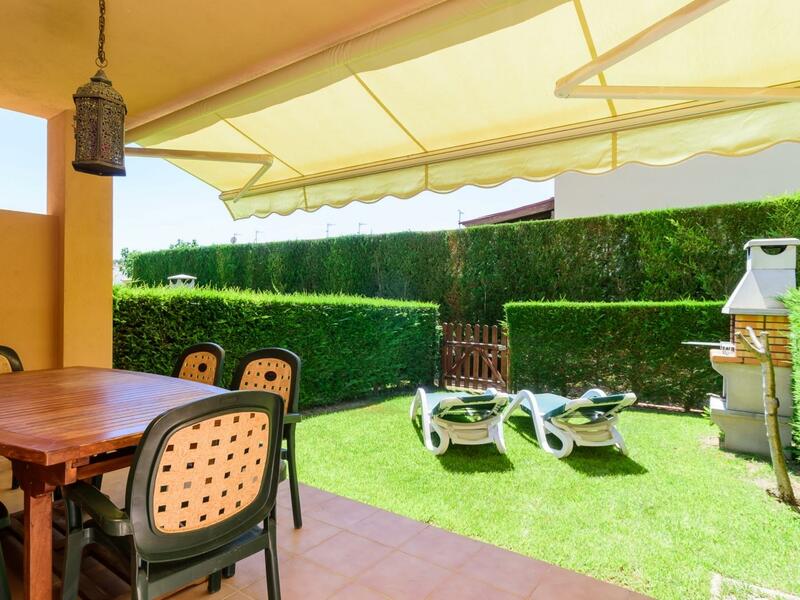 Pinamar offers, in addition to that previously mentioned, one double bedroom and one triple, two bathrooms, a kitchen, a living room, a dining room and a patio at the entrance.The entrance courtyard measures 30 m² and enjoys the morning sun. 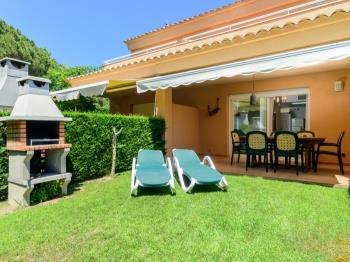 The porch and garden are in the rear, afternoon sun, and are oriented to the community garden. 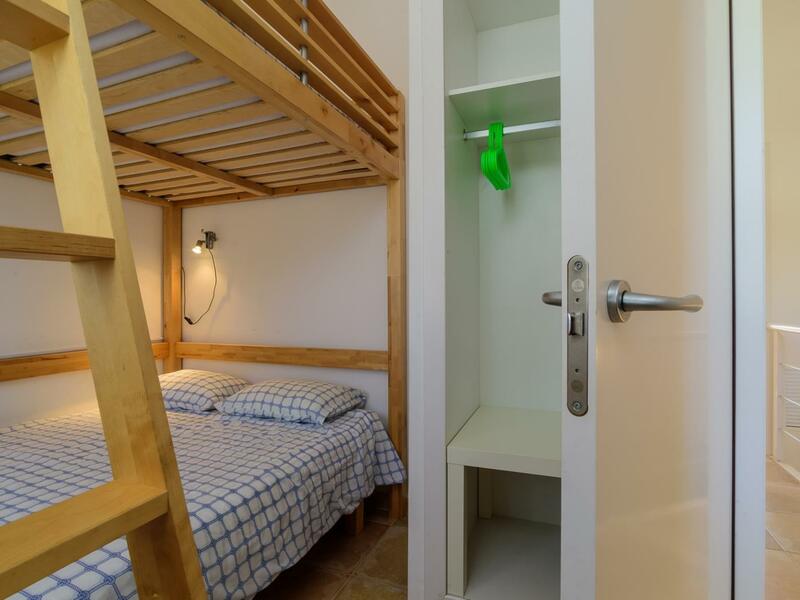 Measurements are 15 m² and 35 m² respectively.The bedrooms feature a king bed in the double, and a bunk with two queen beds in the triple. 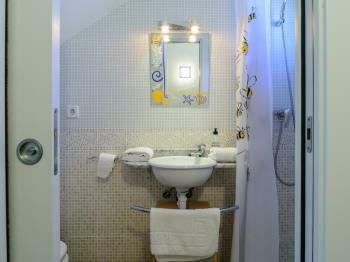 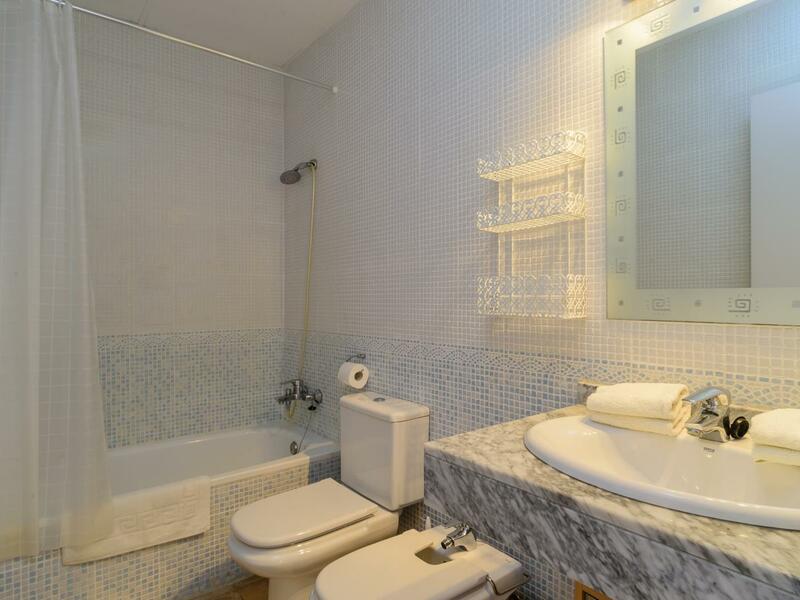 The bathrooms are complete, one with bath and the other with shower. 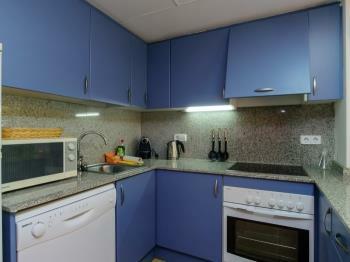 The kitchen is fully equipped, including dishwasher. 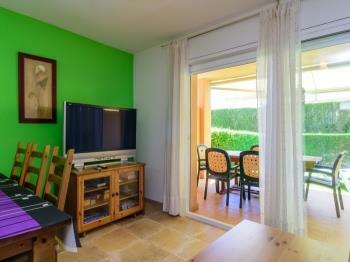 The porch, lounge and dining room are very well equipped (see photos). 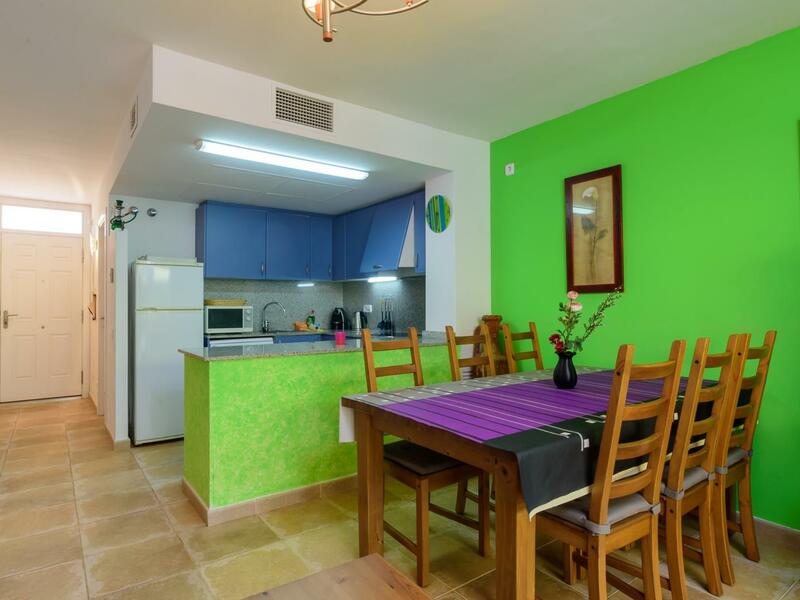 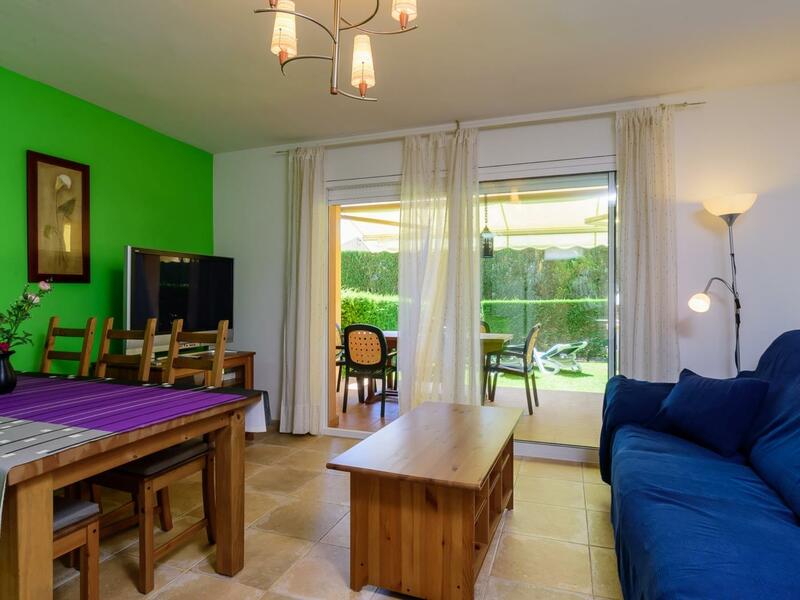 Pinamar 1 is located in L'Escala, in the Riells de Dalt, a quiet residential area, 400 metres from the Montgrí National Park with different paths for walking and cycling, allowing us to enjoy great moments with family and children. 1 km away is the Riells beach shopping area, where you can find all basic services, and the Yacht Club where you can hire all kinds of water sports and activities for families and children (courses in sailing, diving, paddle surfing, kayaking, boating, etc..).